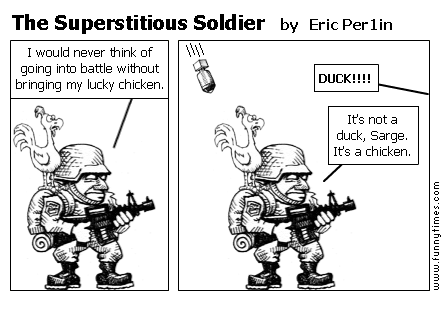 According to Wikipedia … Superstition is the belief in supernatural causality. One is being superstitious when one believes that one event causes another without any natural process linking the two events. WOMBAT Selling and Replication. WOMBAT Innovation and Revenues. WOMBAT selling is all about replication, replication, replication. A WOMBAT (Word Of Mouth Buy And Tell) is a satisfied customer who replicates another satisfied customer. And so on. WOMBAT innovation is all about revenues, revenues, revenues. WOMBAT innovation is all about designing brand new products or services that create brand new satisfied customers who replicate other brand new satisfied customers. And so on. x10 Thinking is the kind of thinking required for both WOMBAT selling and WOMBAT innovation. Always remember that WOMBAT innovation is a customer-driven process. How will customers obtain the new product or service? When will customers pay for the new product or service? How will the new product or service get to the customer? How will customers replicate new customers? How will new customers replicate new customers? To ensure your sales staff is putting its best effort behind the new products try to continually adapt the compensation structure to incentivize the sale of new products. This can get sales people talking about the innovation and if customers are not buying it then sales people feed that back to you. 2016 SOT Problem: What is a better unit of innovation? The Science Symposium of the School of Thinking is a world class panel of science and R&D thought-leaders and they review the SOT strategic initiatives for 2016/2017. The School of Thinking 2016 Problem is: What is a better unit of innovation? The next symposium is in March. The seven members who meet quarterly in symposium are Sir Gus Nossal, Professor David Penington, Dr Graham Mitchell, Dr John Stocker, Mr Michael Taylor, Mr Peter Turvey and Ms Maria Deveson Crabbe. Gustav Nossal took his Ph.D. at The Walter and Eliza Hall Institute of Medical Research. Sir Gus has been President of the Australian Academy of Science (1994-1998); a member of the Prime Minister’s Science, Engineering and Innovation Council (1989-1998); and Chairman of the Strategic Advisory Council of the Bill and Melinda Gates Children’s Vaccine Program (1998-2003). Nossal was knighted in 1977, made a Companion of the Order of Australia in 1989 and appointed Australian of the Year in 2000. Since 2010, Nossal has been Chairman of the Gates Foundation’s Discovery Expert Group, charged with developing longer-term research strategies. After graduating in medicine at Oxford David Penington returned to Melbourne as Professor of Medicine at the University of Melbourne then Dean of the Faculty of Medicine then Vice-Chancellor of the University of Melbourne for eight years from 1988. He was Chairman of the National AIDS Task Force (1983-87). He was Chairman of the Board of Cochlear Ltd from 1995 to 2002. His autobiography “Making Waves: Medicine, Public Health, Universities and Beyond” published by Melbourne University Press July 2010. John Stocker has a distinguished career in pharmaceutical research and extensive experience in management of research and development and in its commercialisation. Stocker is a Director of Telstra and a Board member of Wine Victoria. He was Chief Executive of CSIRO and later the Australian Government’s Chief Scientist and a member of the Board of The Walter and Eliza Hall Institute for Medical Research. He was appointed an Officer in the Order of Australia in June 1999 and was awarded the Centenary Medal in 2003. At The Walter and Eliza Hall Institute of Medical Research (WEHI) Graham Mitchell made discoveries in immunology obtaining his PhD in 1969. In 1990 he was appointed Director of the prestigious Royal Melbourne Zoological Gardens. Recognised as one of Australia’s leading biological scientists Mitchell was appointed an Officer in the Order of Australia. He has been an advisor on innovation to the Victorian, Commonwealth, Tasmanian and Northern Territory Governments. Mike Taylor is currently a Director of the Public Transport Development Authority and the Country Fire Authority. Formerly the Secretary to Australia’s Department of Infrastructure, Transport and Regional Services and Secretary, Department of Agriculture, Fisheries & Forestry. As a result he has been extensively involved in negotiating International, Commonwealth, State and industry agreements on a wide range of transport, security, regional development, water, energy, minerals, agricultural, food, forestry, fisheries, environmental and sustainable natural resource management issues. Mike has chaired international negotiations, meetings, delegations, projects, policy and trade development work in Asia, North America and Europe. Former Executive Vice President Licensing and Company Secretary of CSL Limited Peter Turvey had responsibility for the protection and licensing of CSL’s intellectual property. Among the many licensing deals he was involved with, the most significant included the Gardasil license to Merck & Co., the licensing of the IscomatrixÂ® adjuvant platform technology to the world’s leading vaccine manufacturers, and establishment of the P.gingivalis vaccine technology collaboration between the CRC for Oral Health and Sanofi-Pasteur. Maria is an experienced CEO with over 20 years of expertise spanning across the corporate, private industry and social enterprise sectors. Maria has achievements in business start-ups, new business development and in driving innovation and organisational growth in well-established organisations; with strengths in marketing and brand strategy, operations, service delivery, FMCG and supply chain improvement.â€¨â€¨ Maria was the Founding CEO of Aussie Bodies. Under her leadership, Aussie Bodies achieved its number one status within the sports nutrition FMCG category. As CEO of Marie Stopes International Australia, she launched the not for profit pharmaceutical company, MS Health and was the driving force behind the successful registration of RU486 by the Therapeutic Goods Administration. â€¨â€¨As CEO of MSI’s Australian operations, Maria led a change management process to integrate Australian clinic and pharmaceutical operations. She designed a corporate social responsibility model that ensures a percentage of operational profits are donated to program activities, with donations scaling up substantially over the past few years. As Regional Director Maria is accountable for operations in the Philippines, Vietnam, Myanmar, PNG, Timor Leste, Cambodia, China and Mongolia.â€¨â€¨ Maria won the 2014 Telstra Business Women Award for Community and Government (Victoria) and the 2014 Australian Financial Review’s 100 Women of Influence. I’ll never forget my first speech. It was 1964 in Cooperstown, NY, and I was a 29-year-old project manager at GE who’d been asked to present a new plastics venture to a group of 300 high-level corporate types. Weeks beforehand, I meticulously wrote out every word and practiced reading it out loud what felt like a thousand times. Regardless, my inexperience in front of a crowd, combined with my self-consciousness about my lifelong stammer, made me a complete wreck. I stunk. Today, giving a speech or a presentation is one of the most fun things I do in life. I love it, and having been out in front of more than one million people in audiences around the world in the past fifteen years, I’d like to think I’ve come a long way toward getting it right. At the same time, I’ve come to believe a person’s skill in public speaking is more essential than ever. Making your case in writing is increasingly a thing of the past. You are what you say; your communication approach is your fingerprint, both professional and personal. Now, hundreds of books and articles, if not more, have been written about the “art of public speaking,” so I know I’m not inventing gravity here. But from a very personal perspective, allow me to share my three rules of success. Rule #1: Keep your message simple. Not simplistic, mind you. Not dumbed down, either. But simple, as in not over-complicated and completely graspable. This imperative is only possible, incidentally, when you know what you want to say and have a strong conviction about it. Listen, people get up on stage all the time and wander all around their message, trying not to offend anyone, or trying to soften its impact to make it palpable to all viewpoints in the room. Sometimes they try to bring the audience through the circuitous thinking they themselves had to go through to get to their final point. And still other times, they bury their audience in data, hoping the data will somehow translate itself, or at least make them look more sophisticated. In all cases, the result is almost invariably befuddlement. The best speeches and presentations do not make the audience chase the message. They have a strong central point, expressed in bold, clear, unambiguous language, with strong supporting arguments that analyze and make sense of the data. Sure, at the end, given your clarity, a few people may disagree with your conclusion. But that’s a lot better than leaving most people confused. Rule #2: Tell your audience something they don’t know. I’m always amazed when a manager comes into an executive or board presentation and basically recites materials that all of us have already received by email. Likewise, I’ve seen too many speeches to count where the person on the stage repeats a well-worn message and the stories to go with it, or simply reads from his or her slides. Rule #3: Let your passion rip. I don’t get it, but there’s a popular strand of thinking that speakers gain credibility in front of audiences by appearing pensive and logical, almost contained to the point of flatness, like a 3-star general giving testimony before Congress. Obviously, I’m not completely opposed to those affects. No one takes a whirling dervish seriously. But I’d make the case that you gain more than you lose when you unleash your inner fire in front of an audience, and show them how much you believe and care about the topic at hand. Today when I speak, it is always my most passionate lines that get the most engagement. For instance, one of my most urgent messages to managers is that they have to get into the skin of their employees; they need to understand their minds and hearts so they can excite them about, and give purpose to, the work. I feel this point so strongly, that once I blurted out, “If you’re a bore to the people who work for you, go slap yourself!” It was a heat-of-the-moment kind of comment, coming straight from my heart and gut, and I know that’s why it was the message people walked away with. Public speaking will be as fun for you as it is for the people listening, with one big added bonus — a boost to your career trajectory. Jack Welch was CEO of General Electric and is now Executive Chairman of theÂ Jack Welch Management Institute.